Kiran Gopinath took birth in a renowned family of artists, hailing from Shoranur, Kerala. His father, Shri. Kalamandalam Gopinath is a Mridangam artist. Mother Smt. Kalamandalam Sridevi Gopinath is a Mohiniyattam Artist. 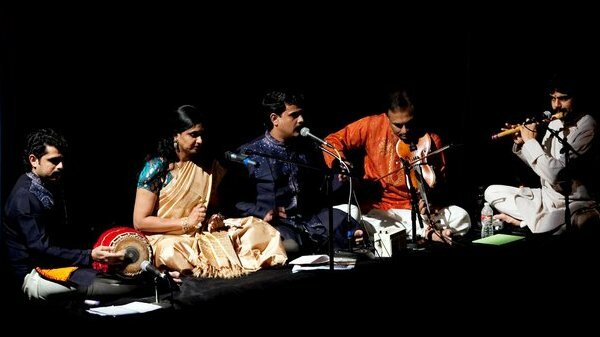 Arun Gopinath and Varun Gopinath are his two brothers who are also artists. Arun Gopinath who has completed his M.A. in Music from Kannur University. 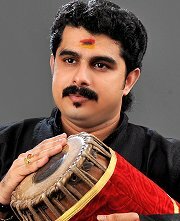 Apart from Mridangam he is an exponent in other rhytham instruments like, Edakka, Maddalam, Thabala, Ghatom, Ghanjira etc. He has worked with Shri.Raja Reddy and Radha Reddy (Padmabhooshan awardees), Smt. Vasundhara Doraiswami (Mysore), Smt.Rama Bharadwaj (USA), R.L.V.Anand (Natyacharya), Kavya Madhavan (cine artist), Sunanda Nair (USA), Gopika Varma (Kalaimamani), Kalamandalam Leelama, Kalamandalam Sreedevi, Kalamandalam Saraswathi etc.